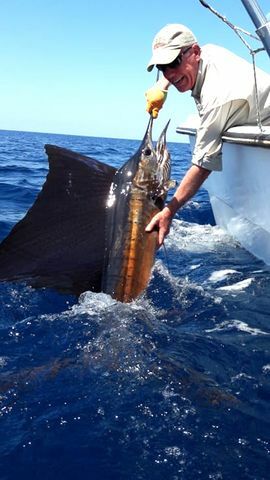 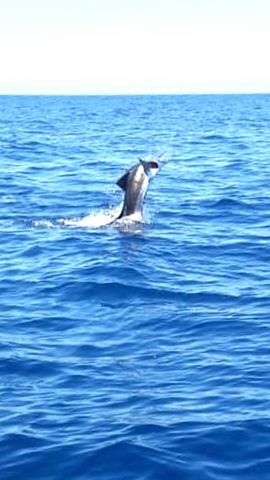 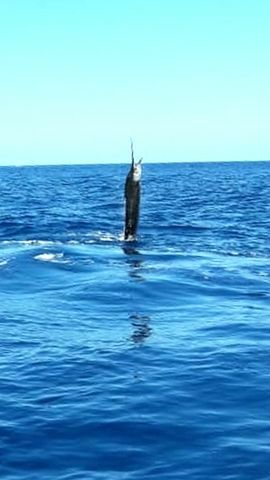 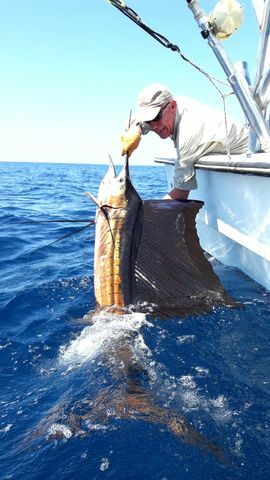 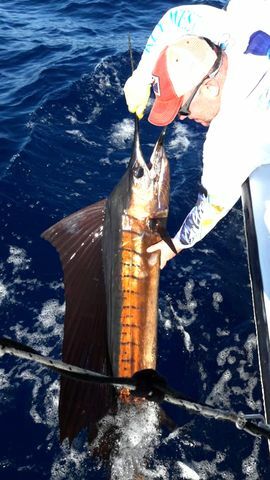 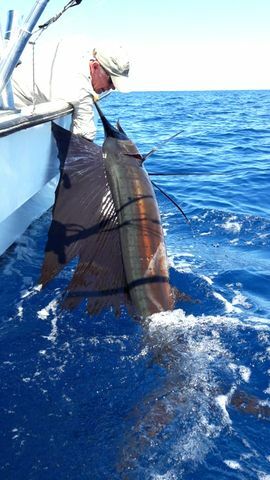 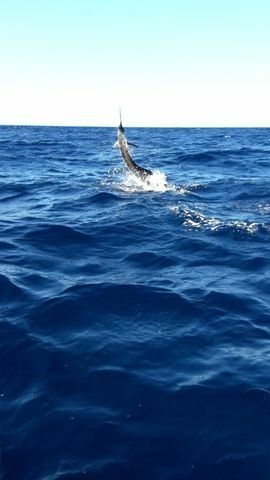 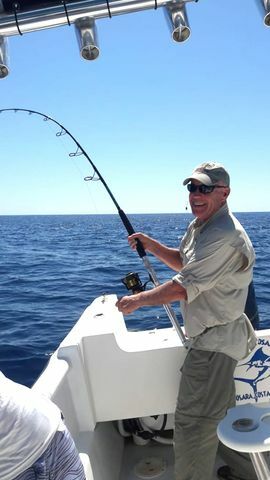 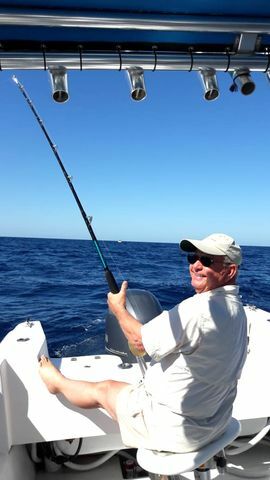 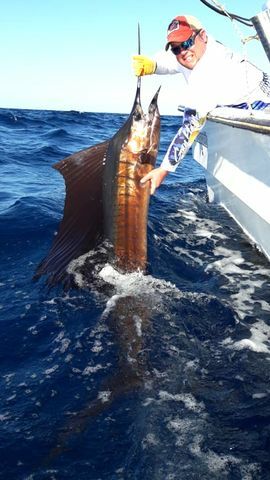 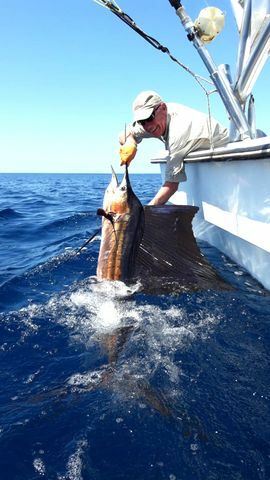 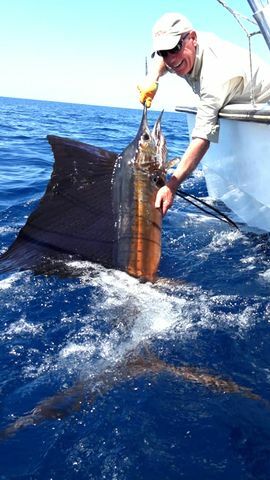 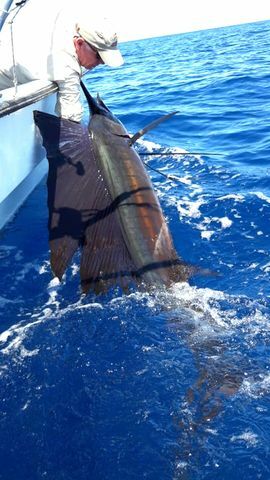 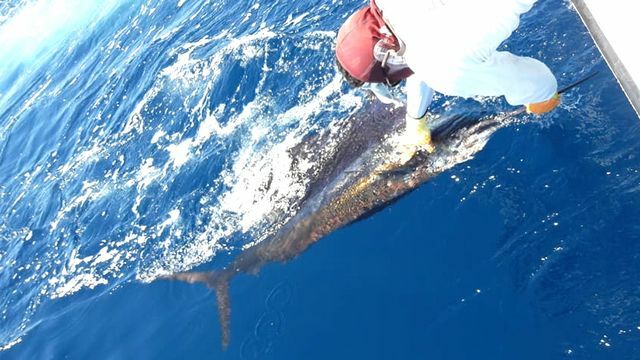 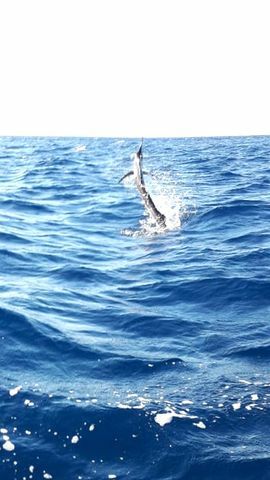 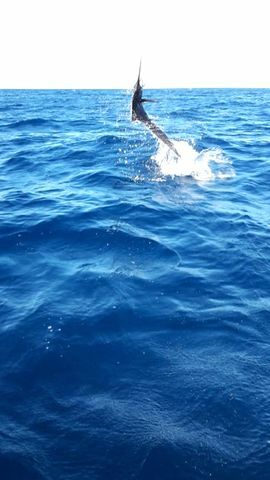 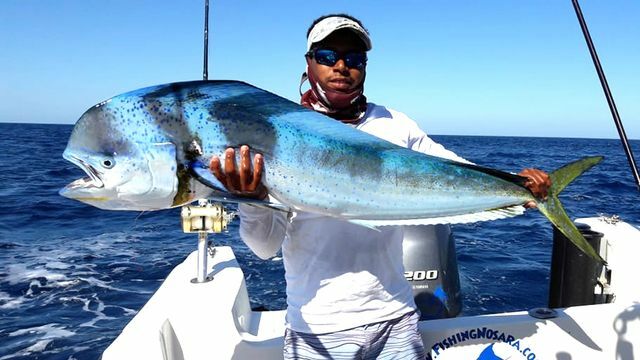 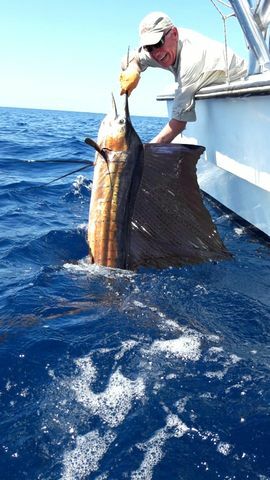 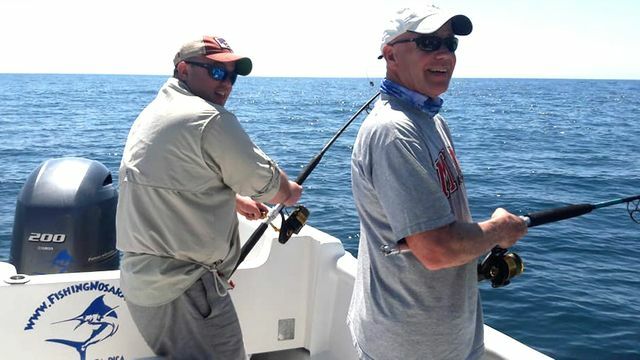 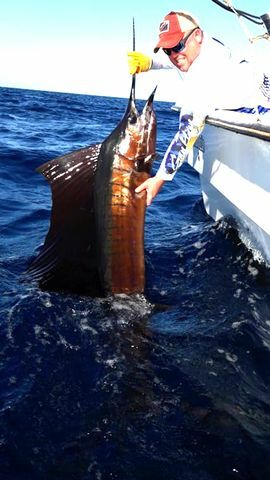 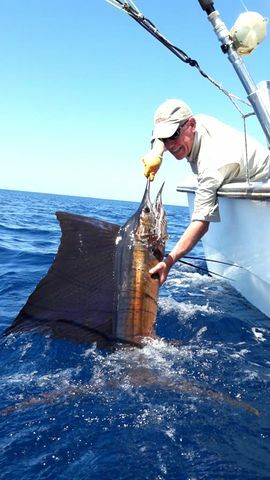 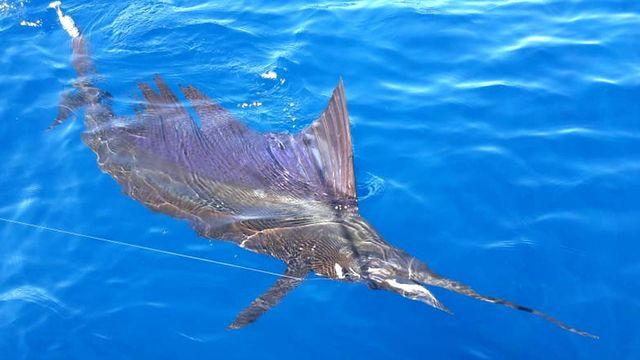 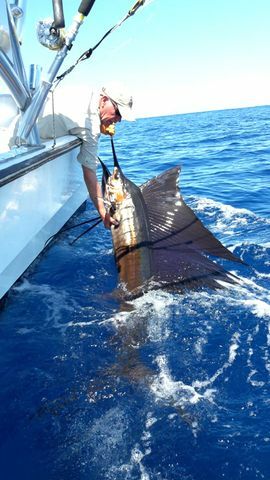 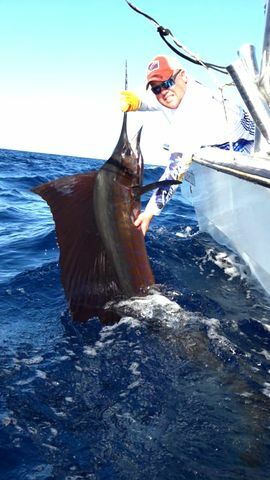 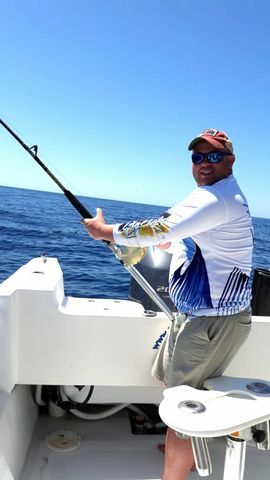 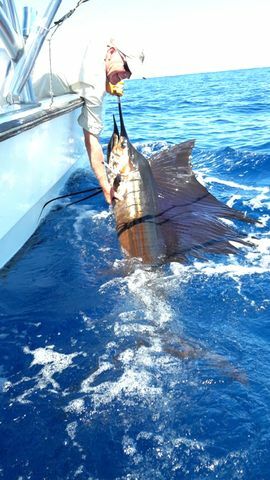 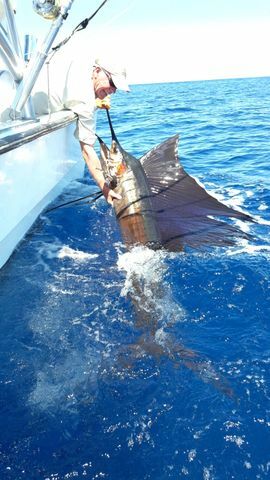 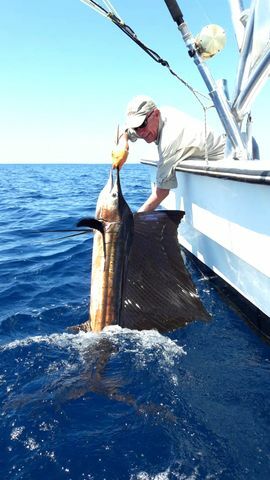 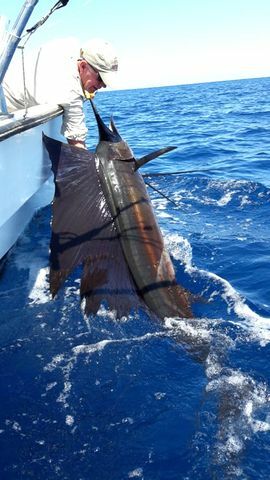 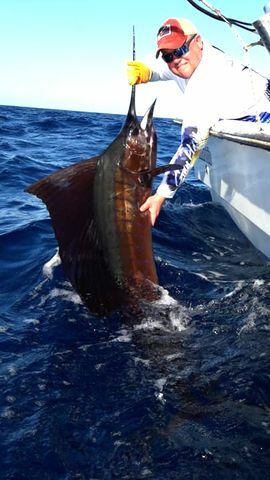 The Harvester posted an amazing day on February 8 with Phillip Lommen and Ron Sever each reporting tons of Sailfish releases. 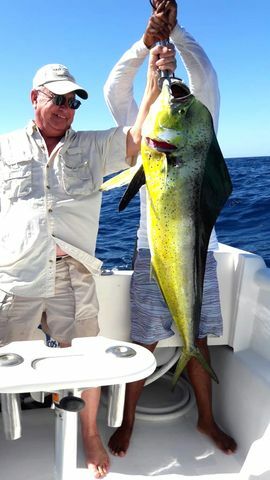 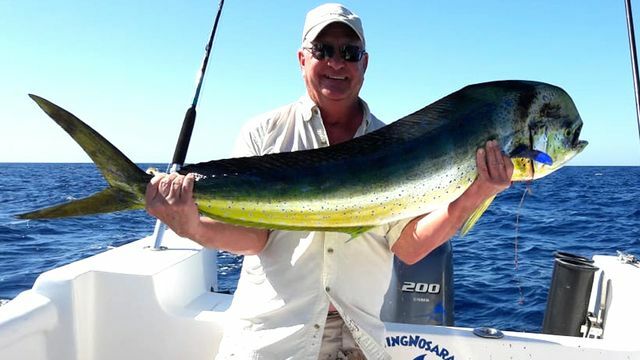 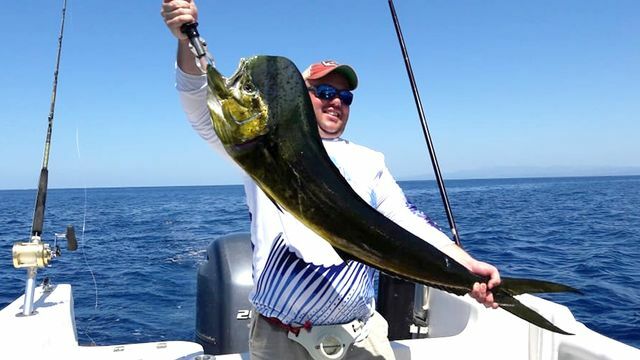 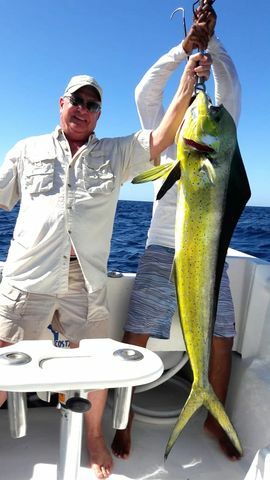 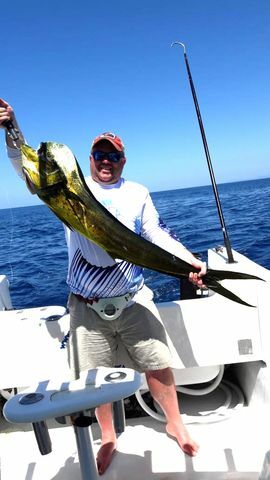 These boys didn’t go home empty-handed; they also piled the fishbox high with lots of excellent Dorados. 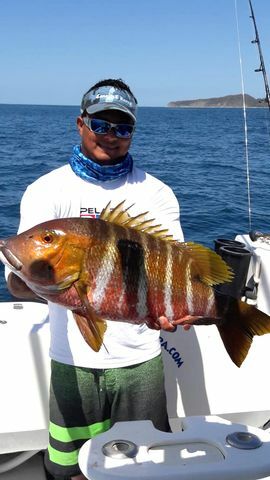 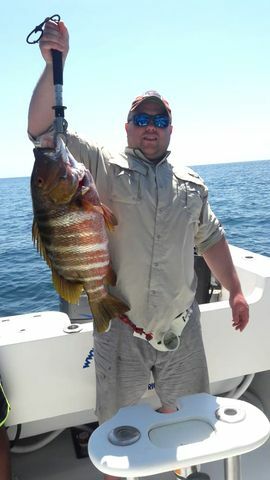 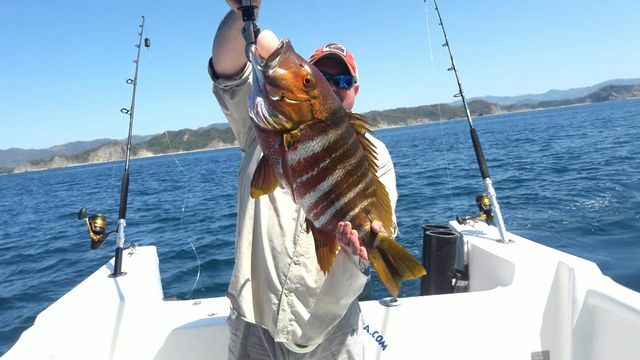 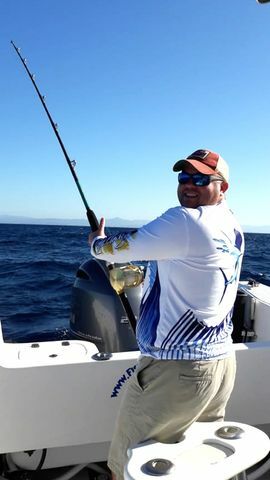 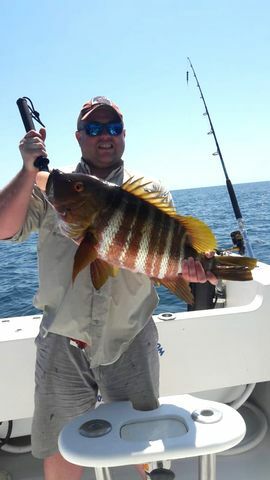 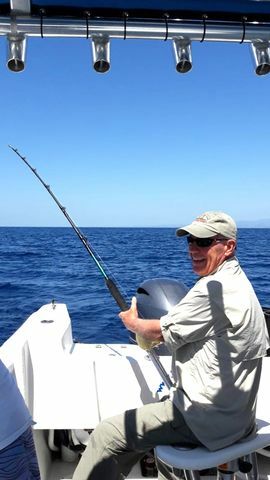 Phil Lommen and Ron Sever stayed inshore with Captain Alex on the 4th, and they kept the rods bent with these elusive Pargo Roqueros.